Absolutely stunning bathroom ceiling light which will make a strong style statement in any bathroom. 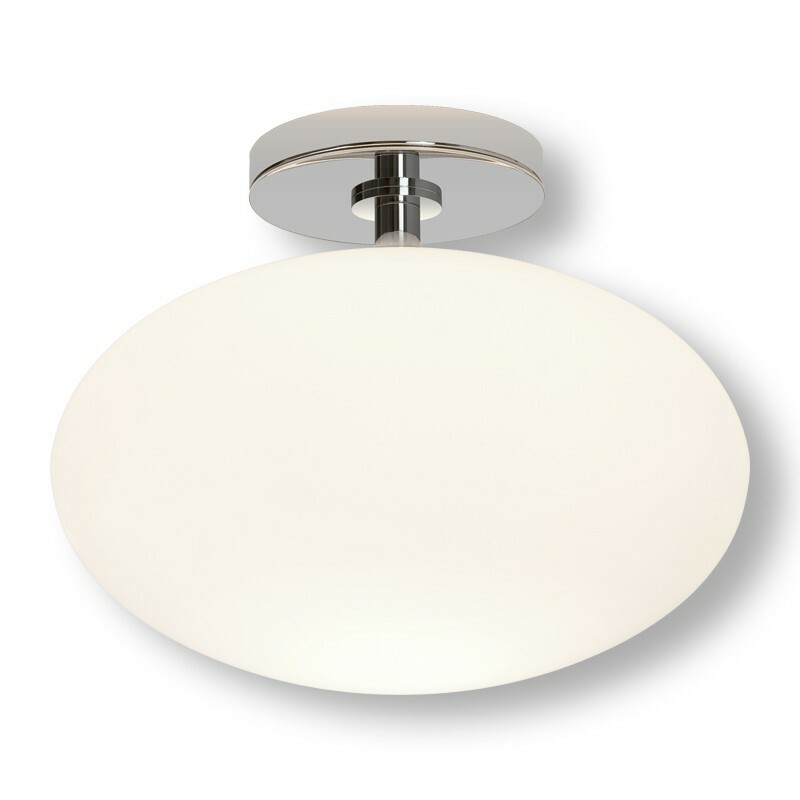 Featuring a large white orb suspended from a polished chrome bracket, this light will be the centre of attention. The white glass diffuser casts wide rays of soft light across your bathroom making everything look subtle and beautiful. The light is dimmable, so you can control the amount of light you need. The light is IP4 rated, making it suitable for use in bathroom zones 2 and 3. However, you may want to use this lovely stylish light in a variety of other places throughout your home as well.